» Garbage Disposal vs. Compost Bin – What is the Difference? Garbage Disposal vs. Compost Bin – What is the Difference? I don’t know about you, but I think that there are three main ways to get rid of your leftover food scraps. You can throw them in the garbage, send them through your garbage disposal, or place them in a compost bin. Of these three methods, the first – the trash – is the least environmentally friendly option. Of the other two, garbage disposal vs compost, there are some important differences that you need to know. While both of these methods of food scrap disposal are great for the environment, they actually have physically little in common. A garbage disposal sits in your kitchen. It’s embedded into your sink, either over the single drain, or serving as a second drain, depending on whether or not you have a divided, two-bin sink. A compost bin, on the other hand, sits outside of your house. Another factor in the garbage disposal vs compost bin comparison is the ways in which both of these food scrap disposal methods work. A compost bin is great for the environment, as it takes food scraps and other environmental waste and turns it into useable soil for your garden. A garbage disposal takes those scraps, breaks them into tiny pieces, and then sends through to your sewer system where they are cleaned out along with other debris. Really, I think that the compost bin is even better for the environment than using a garbage disposal, but there are good things about both. There are several pros and cons in the garbage disposal vs compost debate. I’ll go over them here. Easy to use – you just need to flip a switch and your food scraps will be disposed of. 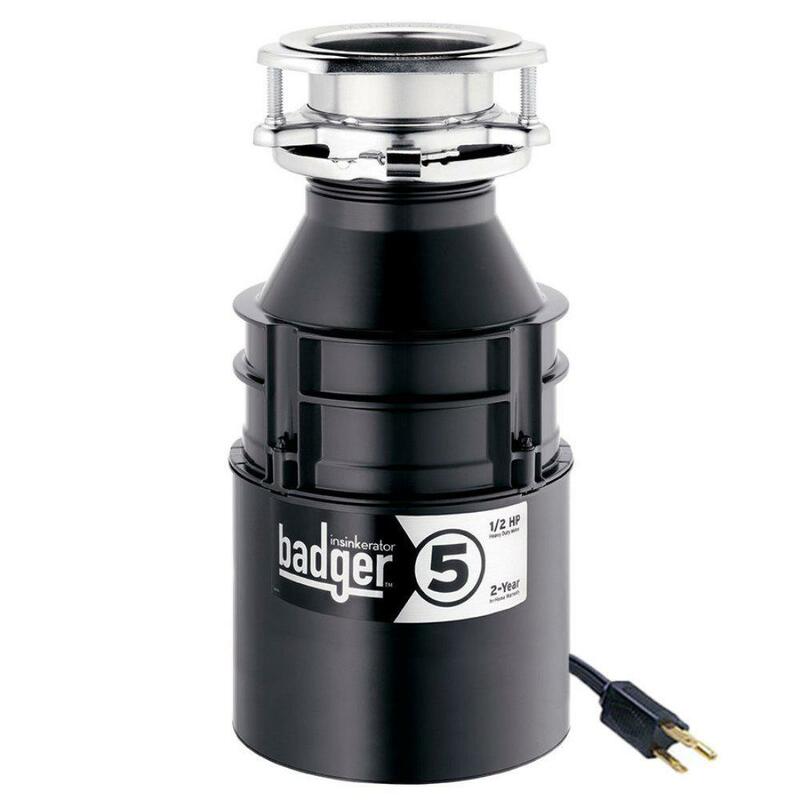 There are plenty of different garbage disposal brands to choose from. They make cleaning your dishes much easier. Needs to be installed in your house by a professional. You’ll need to clean your garbage disposal on occasion in order to keep it in good running condition. Can only be used for food scraps. Creates fresh, healthy soil for your garden. I can place more than food scraps in it. 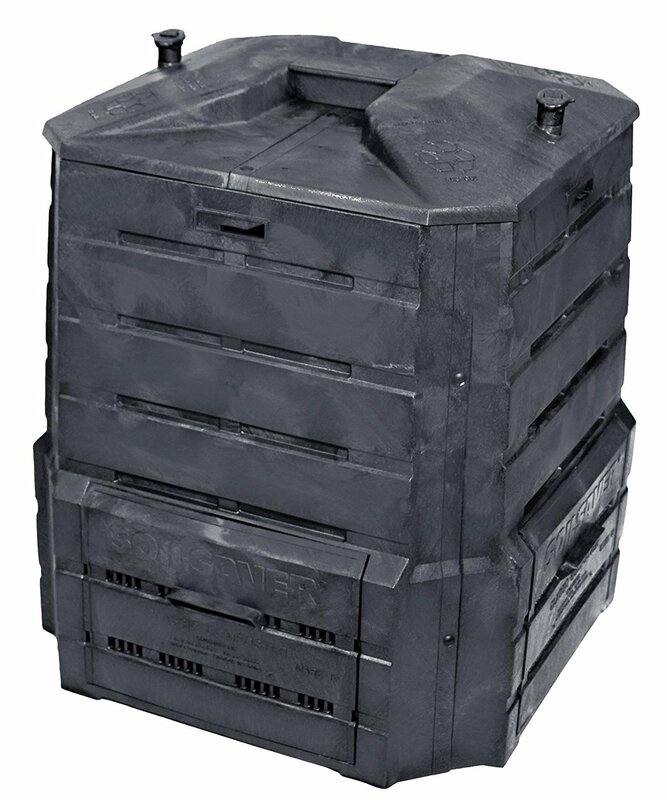 You have your choice of two general types of compost bins: plastic bins that need to be turned and large waste piles kept in check by wooden walls. Sometimes a compost pile can smell. Have to keep a careful balance between the materials in it, or else it won’t break down properly. 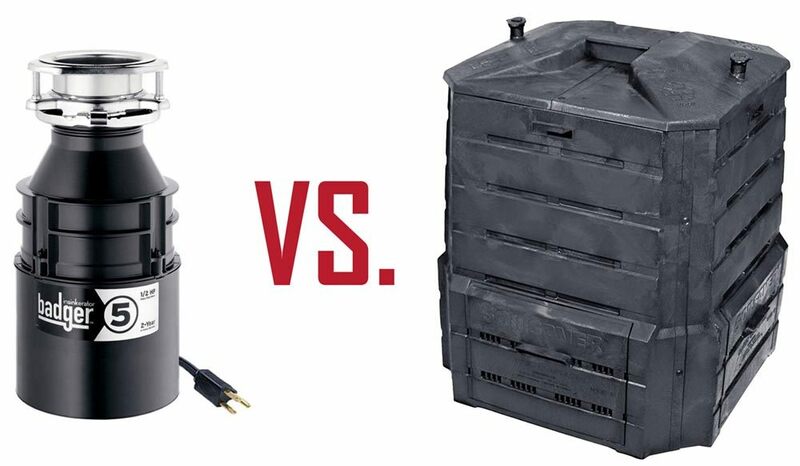 When it comes to the garbage disposal vs compost bin debate, compost bins are clearly better for the environment. After all, they break down the food scraps that you put in them, as well as the compost starter, hay, shredded newspaper, and other things that are added in order to help the decomposition process. Stale potato chips, crackers, pretzels, etc. As you can see, you can put more than just food scraps in a compost bin. This is one of the reasons why I think it’s an equal contender in the garbage disposal vs compost contest. A compost bin serves a very important purpose. As you can see, there are some important things to consider when debating between garbage disposal vs compost bin. Both of these things serve an important purpose in your home. Since they handle different tasks, it makes plenty of sense to have one of each, unless you aren’t a gardener and have no need for fresh soil. In that case, a garbage disposal alone is perfect.